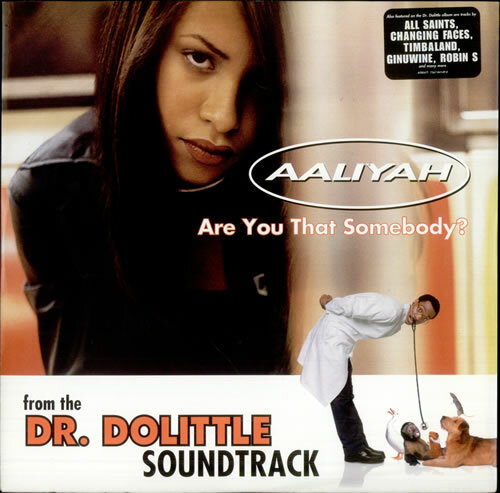 Aaliyah Archives: Dr.Doolittle Soundtrack: Are You That Somebody? Are You That Somebody was a Grammy nominated single for the Best R&B Vocal Performance (rightly deserved too!) Babygirl recorded this for the film soundtrack Dr.Dolittle. The song itself was written and composed by Playa's Static Major, who also sang backing vocals alongside with Aaliyah. Timbaland, who also contributed to writing and producing was featured as a guest rap for the track. Now as a lot of you Aaliyah fans know, the song samples a baby cooing/murmuring, but do you guys know where it was originally sampled from? Well for those who don't it was originally sampled from Perry And Kingsley's – Countdown at 6 (1966). There is also another sample used from D.Train – You're The One For Me, which was a dance classic in 1982.